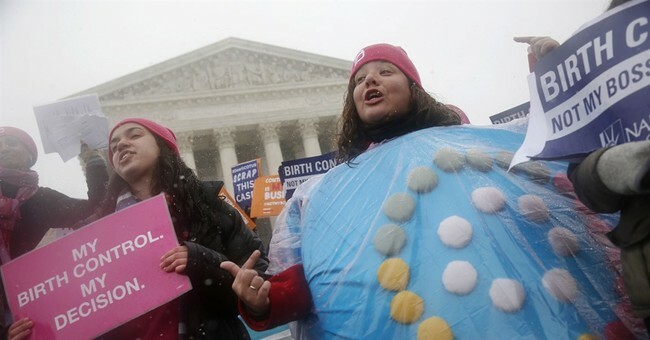 A federal judge issued a permanent order Tuesday blocking the government from enforcing the Obama-era contraceptive mandate which had forced religious groups to provide birth control to their employees despite their religious objections. Judge Brimmer’s order brings an end to an over four-year long legal battle that began when these religious groups sued the Obama administration over the mandate. The six groups in the suit are the Association of Christian Schools International, Samaritan Ministries International, Taylor University, Indiana Wesleyan University, Asbury Theological Seminary and the Alliance Defending Freedom. The Trump administration’s Department of Justice abandoned any defense of the mandate. Recently, the administration also broadened the exemptions to the mandate to include employers with non-religious but moral objections to the rule. The Alliance Defending Freedom celebrated the decision Tuesday. “Religious organizations have the freedom to peacefully operate according to their beliefs without the threat of punishment by the government. Tuesday’s order fully affirms that freedom and provides permanent protection from the mandate,” ADF Senior Counsel Gregory S. Baylor said in a statement.